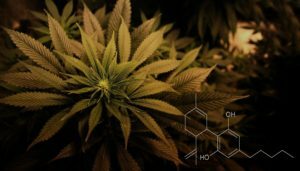 A groundbreaking study has documented the superior therapeutic properties of whole plant Phytocannabinoid Rich ( PCR) CBD oil extract as compared to single-molecule CBD. These studies showed that administration of pure, single-molecule CBD resulted in a bell-shaped dose-response curve, meaning that when the amount of CBD exceeded a certain point its therapeutic impact declined dramatically. “Healing was only observed when CBD was given within a very limited dose range, whereas no beneficial effect was achieved at either lower or higher doses,” the authors observed. This characteristic of single-molecule CBD—manifested as a bell-shaped dose-response—imposes serious obstacles that limit its usefulness in a clinical context. Moreover, the Israeli researchers found that a small amount of CBD in the clone extract (PCR) was needed for significant pain relief compared to the much larger amount of pure CBD (isolate )required to achieve the same analgesic effect. And whereas pure, single-molecule CBD precipitated a dramatic drop in efficacy if more than a specific dosage was administered, an “overdose” of whole plant CBD-rich extract did not undermine its therapeutic potency. When greater than an optimal dose of the clone 202 oil was administered, its effectiveness levelled off, suggesting that a medicinal plateau had been reached. The key finding that CBD in the presence of other Cannabis components improves the dose-response is supported by recent reports documenting the anti-proliferative effect of cannabidiol on tumour cells and the inhibitory effect of CBD on bladder contractility. So basically PCR CBD oil from Purity is far better than any single molecule CBD oil so when you’re looking for the best CBD OIL make sure it’s Phytocannabinoid Rich. ( PCR) if it doesn’t say it on the label it’s not PCR CBD.